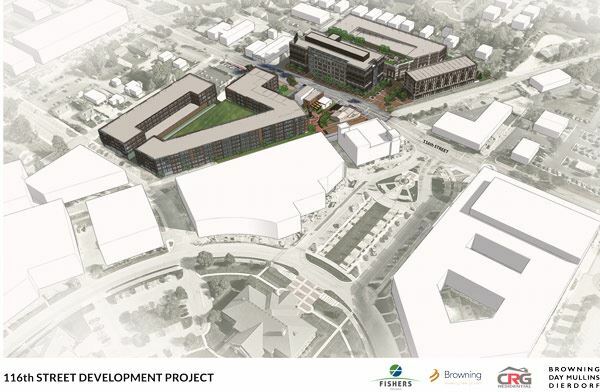 Browning Investments, along with City of Fishers’ Mayor Scott Fadness, announced December 4, 2018 a major downtown development along the north and south sides of 116th Street in the Nickel Plate District. The mixed-use development will feature residential, retail, a high-end boutique hotel, and will be anchored by a six-story office building. Browning’s engagement provides for a coordinated delivery of all projects and the associated mix of uses on both sides of 116th Street.